WB Postal Circle Recruitment 2018 – Participants are informed that West Bengal Postal Circle, has issued notification of Postman/ Mailguard Vacancy. 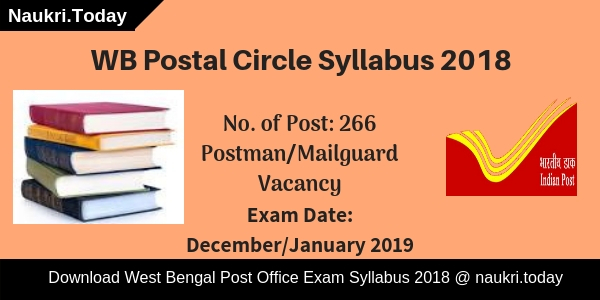 There is 266 Posts are available for WB Postal Circle Vacancy 2018. Participants who are interested in government job must apply for WB Postal Circle Bharti 2018 from 25th October 2018. Here we explain your eligibility criteria, age limit and much more. Online Registration for WB Postal Circle Postman Jobs 2018 will close on 24th November 2018. West Bengal Postal Circle, Kolkata has announced 266 Vacancies for filling up Postman/ Mailguard Post. Participants may apply online for WB Postal Circle Recruitment 2018 from 25.10.2018 to 24.11.2018. Furthermore, information about Postman/ Mailguard Vacancy candidates should download WB Postal Circle Notification 2018. Links are given below to download WB Postal Circle Postman Vacancy 2018 notification. How to Apply For WB Post Office Recruitment 2018? How to Submit WB Postal Circle MTS Vacancy Application Form? What is the Selection Procedure of WB Postal Circle Recruitment 2018 ? Candidates should fill up their application form carefully for WB Postal Circle Mailguard Vacancy 2018. Here we gave you brief details about West Bengal Postal Circle Recruitment 2018. Applicants should check here education, age and pay scale before applying for WB Postal Circle Jobs 2018. General and UR category applicants minimum age is 18 years and maximum age is 27 years. Upper Age Relaxation for other category Participants for WB Postal Circle Recruitment 2018 is given below. Participants should pass 12th class from recognized Board or University for WB Postal Circle Vacancy 2018. Candidates may also read WB Postal Circle Notification 2018 carefully for more details. Participants can download WB Postal Circle Mailguard Jobs 2018 notification either from here or from the official website. West Bengal Postal Circle Department should pay Rs. 21700 /- to Rs. 36100 /- to the selected applicant. Participants who are going to apply for Postman/ Mailguard Post must fill up their application form before the last date. Here we provided you links to download West Bengal Postal Circle Notification 2018. Applicants must check official WB Postal Circle Notification 2018 for more details. Participants should be selected by Divisional Level Merit for WB Postal Circle Recruitment 2018. Applicants may also face Aptitude Test for Postman/ Mailguard Post. Final selection of applicants should be done on marks obtained in Aptitude test. Candidates should prepare hard for West Bengal Postal Circle Bharti 2018. Here we available you links to apply for WB Postal Circle Jobs 2018. You may also check West Bengal Postal Circle Notification from links mention here. Candidates should pay their application Fee either through e-pay post office or by offline challan payment by him/her& to pay fee only in CASH for WB Postal Circle Bharti 2018. West Bengal Postal Circle Vacancy 2018 Registration Fee is Rs. 120 /-. Payment of Registration fee is compulsory for all category candidates. Applicants who belong to General and OBC Category should pay Rs. 400 as an applicants fee. For SC/ ST/ PH/ Women participants are exempted to pay the examination fee. They only need to pay examination fee for WB Postal Circle Recruitment 2018. Participants should apply from the official website for WB Postal Circle Mailguard Vacancy 2018. You should follow these steps to easily log on to official website. Participants can pay their application fee through online mode or offline mode for WB Postal Circle Jobs 2018. After that search for WB Posta Circle Recruitment section at home page. Now application should click on Apply online option. Participants should enter their details correctly in an application form. Then add your photo and signature in an Application form. Before submitting application form aspirants should pay an application fee. Now take print out of application form and Note down Registration number for feature use. Conclusion: West Bengal Postal Circle, Kolkata has declared 266 vacancies for the Post of Postman/ Mailguard. Participants who are interested in applying for WB Postal Circle Recruitment 2018 may read this article carefully. Online Registration will be started from 25.10.2018 to 24.11.2018 for WB Postal Circle Vacancy 2018. Are you searching Online Application Form of West Bengal Postal Circle Multitasking Staff Vacancy?? If yes, then here is relevant information for you. West Bengal Post Office Department has issued advertisement for recruitment of 242 Multitasking Staff Vacancy. Deserving and desired candidates may apply through online mode only. WB Postal Circle Recruitment 2018 apply online link is mention at the end of the article. The online registration form is available from 05th September 2018. You can fill out your West Bengal Postal Circle Recruitment application form before the last date 04.10.2018. Furthermore information you may require to read given below article carefully. West Bengal Postal Circle Department is inviting candidates for filling up 242 MTS Posts. This is a great opportunity for candidates those are searching WB Post Office MTS Recruitment 2018. Aspirants can fill their online form either here or official site. Furthermore, information about WB Postal Circle Vacancy you can collect from below segment. We mention details of eligibility criteria, application fees, selection procedure, how to apply, important dates and important links also. So read below information carefully and apply online for West Bengal Postal Circle Jobs 2018. Candidate who wants to apply for West Bengal Post Office Recruitment 2018 must fulfill eligibility criteria also. The details of eligibility like education qualification, age limit included in eligibility conditions. 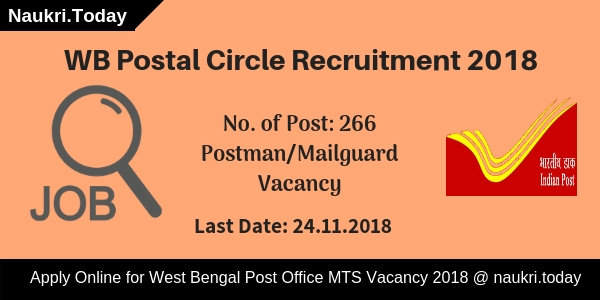 The details of WB Postal Circle MTS Vacancy is mention below. Candidates should complete class 10th from recognized board. Applicants also have knowledge of local language of West Bengal/ Andaman & Nicobar/ Sikkim State. Furthermore, information check WB Postal Circle Recruitment Notification 2018, which is available on important links segment. The minimum age requires for WB Postal Circle Vacancy 2018 is 18 years. Candidates should not be more than 25 years as on 04.10.2018. Upper age relaxation is applicable for reserved category. Check West Bengal Postal Circle Recruitment 2018 Maximum age relaxation mention as below. Applicants who are going to apply for West Bengal Postal Circle Recruitment 2018 are also required to pay an application fee. All candidates must register first for Multitasking Staff Vacancy. They need to pay Rs. 100/- (plus Rs. 20/-for e-payment commission). Appliers those are belonging to General & OBC male category also have to pay examination fees Rs. 400/-. SC/ST/PWD/Woman candidates are exempted for application fees of WB Postal Circle Jobs 2018. Fess will be pay through online or offline mode. Participants who are selected for WB Post Office Vacancy 2018 will get an attractive monthly salary. Candidates will receive Rs. 18000/- to Rs. 29700/- as per pay matrix level 01 with admissible allowances as prescribed time to time. Applicants will get select according to their performance in the Aptitude test, which will be based on the 10th standard. The duration of examination is 120 minutes. And there will be 100 questions which carry 100 marks equally. 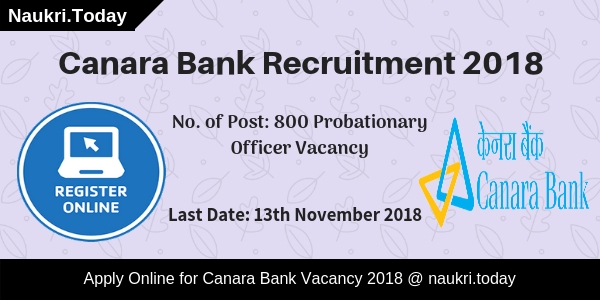 For more details check WB Postal Circle Recruitment Notification 2018. Interested and eligible candidates may fill online application form of WB Post Office Recruitment 2018. Before going to fill up online application form applicants must have a valid email address and mobile no. Participants also have the scan copy of photograph and signature to apply for WB Postal Circle MTS Recruitment 2018. Now follow some instruction mention below. First of all, go to the official site westbengalpost.gov.in. Click on the link apply online for WB Postal Circle Recruitment 2018. First registered on the portal with entering your personal information. Now you receive unique id and password either on your mail id or mobile number. Then login with id & password. Enter other remaining information on your West Bengal Postal Circle Jobs 2018 application form. Recheck it and then submit your WB Post Office Vacancy application form. Are you searching Jobs in WB Postal Circle Recruitment Department?? If yes, then here is a great opportunity for you. West Bengal Post Office Department has issued notification for recruitment of 203 Multitasking Staff Vacancy. Applicants who are interested and eligible for West Bengal MTS Jobs 2018 may fill the offline form. The notification is released on 21st August 2018. Candidates can submit their WB Post Office Vacancy application form till the last date 07.09.2018. Now candidates must check eligibility criteria, application fees, selection procedure and how to apply is mention on the below segment. Interested applicants who want to apply for MTS Jobs in West Bengal Post Office Department must fulfill eligibility criteria also. Candidates must check given below education qualification and age limit to ensure for they are eligible or not. Read full information on the below section. As on 01.04.2018 candidates should not more than 50 years for WB Post Office Vacancy 2018. Upper age relaxation is applicable for SC/ST/OBC category. Applicants selection will be made on the basis of written examination. Candidates will get select according to marks obtained in the written examination of WB Postal Circle Recruitment 2018. Applicants also require to pay Rs. 5/- and should enclose the receipt along with application form. Fees pay by online General/OBC Male Candidates for WB Postal Circle Jobs 2018. Candidates those are belonging to Female/ SC/ST/PH category have not to pay any fees. Candidates those are selected for WB Postal Circle Recruitment 2018 for MTS Vacancy will receive an attractive salary. For more details refer to official notification of WB Post Office Jobs 2018. Interested and eligible candidates may apply for WB Postal Circle Jobs 2018 through offline mode. Applicants can download their application form and submit it. You can follow some given below instructions to apply for WB Post Office Vacancy 2018. Download WB Postal Circle MTS Vacancy Notification. Now download your application form of West Bengal Post Office Jobs 2018. Paste your photograph and give signature on the appropriate place on WB Postal Circle Recruitment 2018. Duly filled application form along with application fees and required documents should send to the given address. Conclusion: WB Postal Circle Recruitment 2018 for 203 Multitasking Staff Vacancy. Applicants who are interested and eligible for WB Post Office MTS Vacancy may apply through offline mode. The last date of submission application form is 07th September 2018. WB Postal Circle MTS Exam will held on 30th September 2018. Are you searching WB Postal Circle Recruitment Notification 2018 ??? if yes then here is the latest news for you. India Post Officer (West Bengal Region) has published notification regarding filling up 5778 Gramin Dak Sevak Vacancies. West Bengal Postal Circle Recruitment 2018 Online Application Form is available from 05th April 2018. Interested and eligible Candidates can apply online for WB Postal Circle Vacancy either here or official site till 04.05.2018. Furthermore, the information you can collect through given below article. West Bengal Postal Circle has recently issued advertisement for recruitment of 5778 GDS Vacancy. This is a great opportunity for candidates who want to career in the Post Office. The registration of online already starts on the official site. Now Applicants can fill WB Postal Circle Gramin Dak Sekvak application form on or before 04.05.2018. The direct link to West Bengal Post Office Vacancy is given at the end of the article. More information of WB Postal Circle Jobs is given on below section. Check eligibility, selection, application fees & others on below section. Applicants who are going to fill WB Postal Circle Vacancy form must ensure that they are eligible or not. The eligibility criteria include details of education qualification, age limit and others. All applicants advised that they must eligible for WB Postal Circle Recruitment 2018. Applicants who is going to fill WB Post Office Gramin Dak Sevak Recruitment must complete 10th Standard. Candidates also have computer knowledge and the certificate in computer. Furthermore, you can check the official advertisement. The age criteria are made on the basis of 05.04.2018. Applicants minimum age required for WB Postal Circle Recruitment 2018 is 18 years. Candidates not more than 40 years for the given vacancy. Maximum age relaxation is available for SC/ST candidates 05 years. While OBC candidates get 03 years for West Bengal Postal Circle GDS Vacancy. Physically handicapped persons receive 10 years relaxation. Candidates selection will be made according to the merit list. According to candidates qualification, a merit list will prepare by the department for West Bengal Post Office Jobs. No weightage will give for higher qualification candidates. More information checks WB Postal Circle Jobs Notification. Male participants who are belonging to General & OBC category are required to pay Rs. 100/-. For WB Postal Circle GDS Jobs fees should submit to any post office in the circle. While SC/ST/PH & Female candidates did not need to pay any fees. Here in this section, you can collect information regarding how to apply for WB Post Office Jobs. In the below section, we are given simple steps to fill the online application form. If you are going to apply for West Bengal Postal Circle Recruitment, you must have all required documents. Applicants must have valid email id, mobile no. and scan copy of documents. Now you can follow instructions of WB Postal Circle Gramin Dak Sevak Vacancy application form. First, all candidates go to appost.in. Download WB Postal Circle Recruitment Notification. Then go to Registration for West Bengal Post office GDS Recruitment. Then enter all required information like personal and educational. Submit details and then you get unique registration no. Click on Apply online link for WB Post Office Vacancy. Enter other require information and upload your signature and photograph. Payment of application fees offline mode for West Bengal Postal Circle Jobs. Take hard copy of application form for future uses. Applicants also can apply directly through the link mention below. Conclusion : West Bengal Postal Circle Vacancy 2018 for 5778 Gramin Dak Sevak Vacancies. Interested and eligible candidates can fill online application form either here or official site. The WB Postal Circle Recruitment 2018 online form available from 05.04.2018 to 04.05.2018. Is there any vacancy for stenographer post? sir i want to that when the result will be published and the candidate will be selected which way written exam or merite list please sir reply me shortly in my mail. Is anyone there to help me???? must dita hobe?para dila hobe na?please mail me as soon as possible? computer certificate ki online ar somoy dita hobe,1)a selected hoyar par teloy hobe ki? 2)may ta computer course amar computer course ses hobe,ai certificate chalba to?please mail me. this exam need onlin mode even that in wb becomes question lick with this sms .so we would like to onlin exam.